Lots of local sights have been spotted on TV lately – here is a run down of what you might have missed. 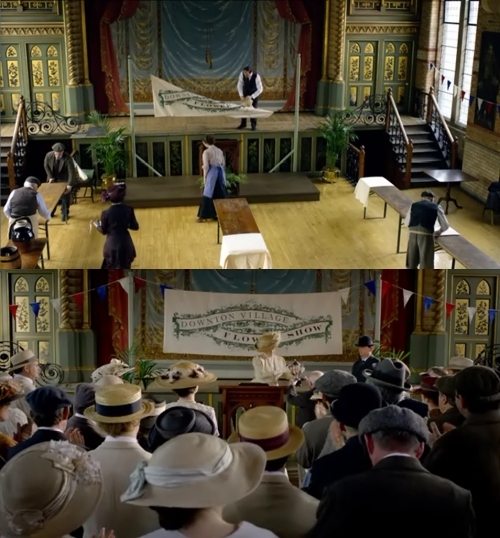 Due to the rarity of a Victorian theatre in such a good condition, Normansfield has been used several times for TV and film – you may have also spotted it during the piano recital scene from Dorian Gray with Colin Firth. 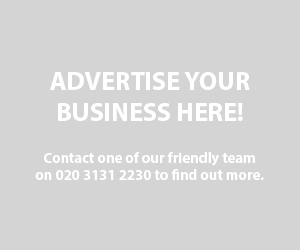 Scenes for a live-action film 3D version of the book Horrid Henry (already currently a cartoon, play and video game) have been recently filmed during half-term on Lower Teddington Road – with child-stars and cast using the nearby school as a base in between takes. 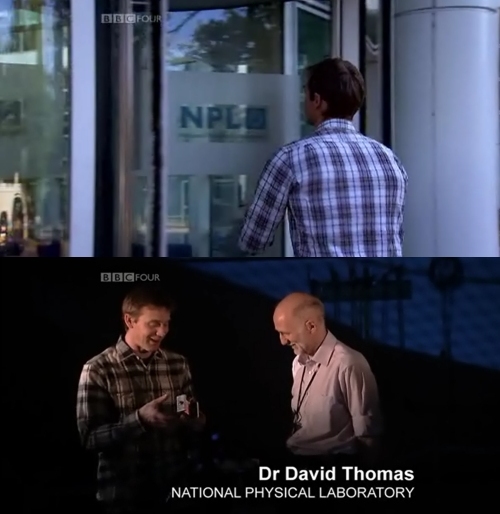 In “Explosions: How We Shook The World”, the presenter recreated an ion chamber experiment to demonstrate the theory of atom-spitting. To complete this he needed some help and also more importantly a source of uranium and some neutrons to bombard it with – all of which the NPL and Doctor David Thomas was only too happy to provide. The clever bods at NPL also helped the BBC in September to recreate an experiment to prove Einstein’s theory of relativity. The successful experiment proved that clock and scientific team that accompanied it on the 50 hour trip aged an extra 230 nanoseconds! The first ever working atomic clock was developed here in Teddington in 1955 and NPL continues to be the home of the UK’s atomic time scale. Michelin-starred chef John Burton Race was spotted on several times on the high street this summer – he was one of the judges in this years Britain’s Best Dish which was shot at Teddington Studios. 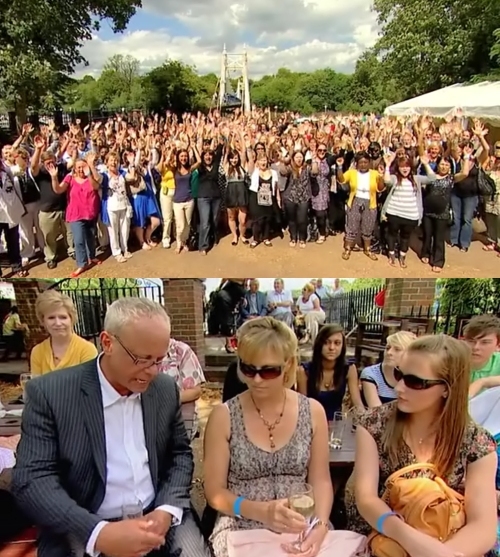 The final episode of the series saw the studio audience all deciding the winner by having the finalist’s dishes cooked for them in The Anglers beer garden. If you fancy being a part of the audience for a show, tickets are currently available for new comedy ‘Meet The Doyles’.